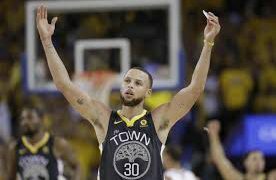 Stephen Curry scored 37 points as the Golden State Warriors stamped themselves a dynasty after winning their second straight NBA title and third in four years Thursday morning. 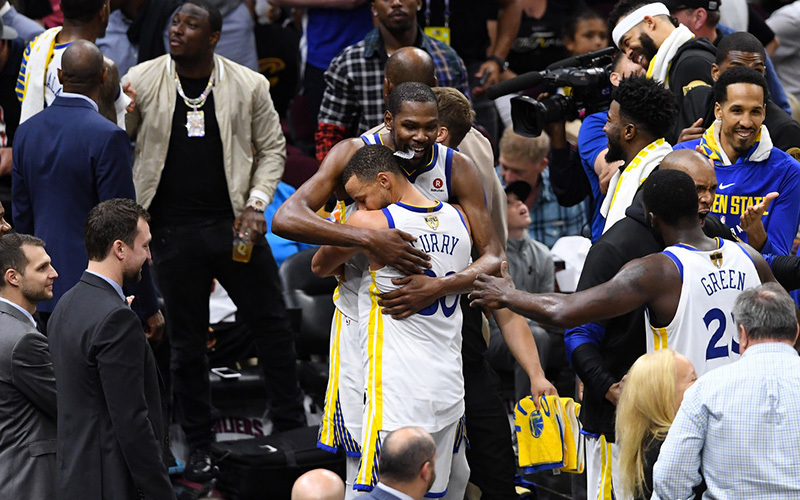 In the all-important game 4, Warriors brought out the brooms to complete the sweep of LeBron James and his Cleveland Cavaliers, winning the 2018 NBA Finals after a 108-85 show. This is the first sweep of the NBA finals since 2007 when Tim Duncan’s San Antonio Spurs demolished then 22 year old LeBron’s Cleveland Cavaliers. Kevin Durant was named Finals MVP for the second consecutive year, thanks to his contributions throughout the series and tonight’s 20-point performance, which helped keep Cleveland from winning a single game. While the Warriors were the heavy favorites coming into the series, the Cavaliers came into Game 1 with a promising performance that — for almost an entire four quarters — seemed to shift the narrative that they couldn’t compete against the defending champions. But with Cleveland tying the game with less than five seconds left in regulation, it looked as if they could pull off one of the greatest upsets in NBA Finals history when the ball fell into the hands of Cavs forward JR Smith, who was just feet from the basket as time ticked down. Yet instead of going for an easy shot and cementing the Cavs’ upset victory, Smith proceeded to run away from the basket, all the way to the three-point line, as time ran off the clock. With James yelling at him to pass the ball, cameras caught Smith turning back to him and mouthing, “I thought we were ahead.” The Warriors went on to win Game 1 in overtime. Smith’s blunder lit up social media, and countless jokes were born at his expense. Thanks to James’ angry reaction to Smith running out the clock, he, too, couldn’t escape from being made into a meme. After Smith’s costly mistake, the Cavaliers never seemed to capture the spark they had throughout Game 1 and proceeded to lose Game 2 103-122 and Game 3 by 110-102. With the NBA offseason officially underway, the basketball world will now set its sights on free agency. It is thought that James, who is a free agent this summer, will likely leave the Cavaliers for a team in better position to win a championship. While James has been putting up historic numbers, at 33 years of age, there may be only a few more years left before the wear and tear of 15 seasons in the NBA begins to show. His decision this offseason will be critical to how his legacy is eventually remembered. Along with James, DeMarcus Cousins of the New Orleans Pelicans and Paul George of the Oklahoma City Thunder are also big names who could be switching jerseys next season. If James opts to leave Cleveland, analysts say his most likely suitors are the Philadelphia 76ers, the Houston Rockets, the Boston Celtics or the Los Angeles Lakers, who have enough cap room to conceivably sign both James and George, which will create a super-team (of sorts) to rival the Warriors. Another free agent on the market? The Warriors’ Kevin Durant. 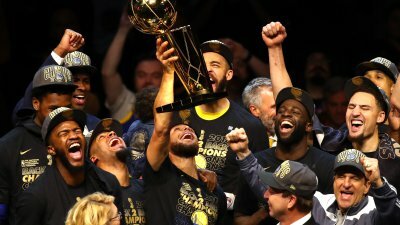 But don’t get your hopes up of landing him on your team if you’re not in the Bay Area — before Game 4 of the Finals, Durant announced he would be resigning with the Warriors, who are favorites, once again, to win the championship next year.